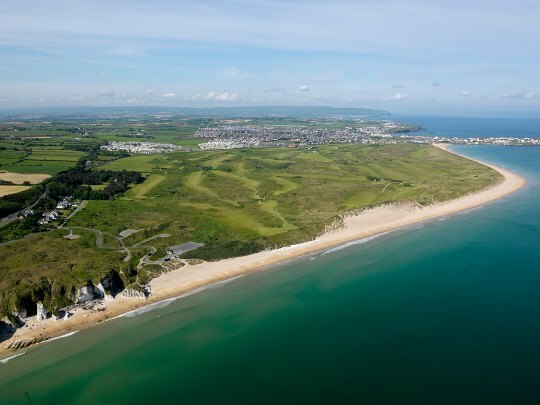 Five-time Open Champion Peter Thomson has welcomed news golf’s oldest Major is returning in 2019 to Royal Portrush in Northern Ireland. It will be only the second time golf’s oldest Major will be staged outside of England and Scotland and in 2019 it will be 68 years since Royal Portrush last hosted The Open in 1951. And those who competed in the 1951 Open was Australian great Peter Thomson, who was making his championship debut in finishing sixth, and who would go onto capture five Claret Jugs. And the 84-year old proud Australian is thrilled to learn the championship is now headed back to Royal Portrush. “It’s excellent news The Open is returning to Royal Portrush in 2019,” he said from his Melbourne home. “Although my memory of that time is faint, it is a classical links courses. I do remember playing two rounds with Joe Carr and I enjoyed the experience. “So while it would have been good for the region to host the tournament more than just the once but then with accommodation being at a premium, and the Irish situation as it was, the R&A had to take all of that into consideration. Can we overcome the St Andrews hoodoo?